With the start of the new year, I’m sadly reminded that Jens Soering will begin his 34th year behind bars at the Buckingham Correctional Center for a crime he clearly did not commit. 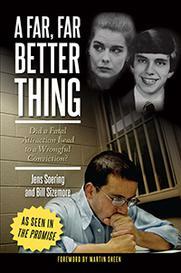 Soering was an 18-year-old German exchange student at the University of Virginia when he was charged with the double murder of his girlfriend’s parents in 1985. Since his trial in 1990, he has steadfastly maintained his innocence. I first became aware of the case through Bishop Walter Sullivan of the Richmond Diocese, who encouraged me to read Jens’ remarkable book, “The Convict Christ,” and respond. 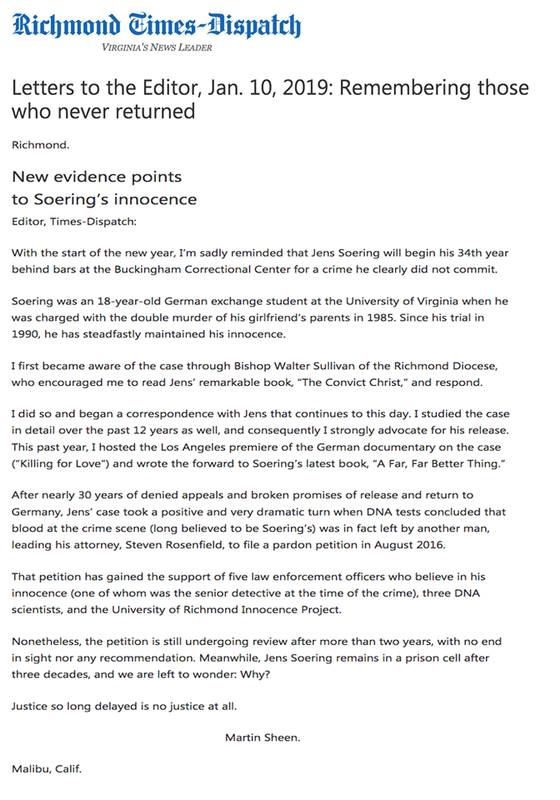 After nearly 30 years of denied appeals and broken promises of release and return to Germany, Jens’ case took a positive and very dramatic turn when DNA tests concluded that blood at the crime scene (long believed to be Soering’s) was in fact left by another man, leading his attorney, Steven Rosenfield, to file a pardon petition in August 2016. That petition has gained the support of five law enforcement officers who believe in his innocence (one of whom was the senior detective at the time of the crime), three DNA scientists, and the University of Richmond Innocence Project. Nonetheless, the petition is still undergoing review after more than two years, with no end in sight nor any recommendation. 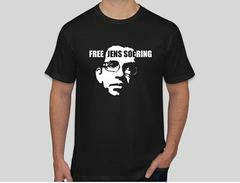 Meanwhile, Jens Soering remains in a prison cell after three decades, and we are left to wonder: Why? Justice so long delayed is no justice at all.